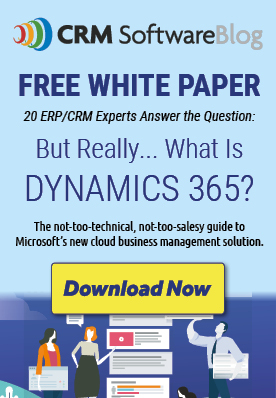 If you're a Dynamics reseller, you know it's a dog-eat-dog world out there. Sometimes, it's more like a dog-undercut-dog-leave-dog-broke-THEN-eat-dog world. In any case, safe to say the business tech world is competitive even for the most experienced ISV or reseller. And while it's often been said that there's no silver bullet to solving a customer's problems, there is an arrow every Dynamics reseller should have in their quiver: enhancing your CRM (or ERP) offer with sales proposal automation (a.k.a, configure, price, quote software, or CPQ). Can CPQ help Dynamics resellers generate more business? The answers are yes, and yes. The first yes is directed at YOU, the Dynamics partner and reseller. Adding sales proposal automation to your own efforts will improve both the quality and quantity of the sales proposals you send and help you land more customers for yourself. The second yes is for those customers of yours. If you have customers who are on the fence about deploying Dynamics (especially those who may not have had the need for an enterprise-level CRM system in the past), unleashing your CPQ arrow, demonstrating how they can benefit from sales proposal automation, can make a huge difference. Because while your prospects may not intuitively grasp the need for some of the more robust CRM features (such as campaign management), they are certain to understand the need for professional looking proposals being sent directly from their CRM. Do users really need to track more than "Opportunity Won/Lost?" For the organization that uses Dynamics to track its efforts, granular tracking on every proposal in circulation is a must. And while your CRM platform provides many features and functions to launch and track the events that help you nurture a lead into a prospect and a prospect into a customer, it doesn't go particularly deep into sales quote tracking. But adding CPQ to Dynamics changes all that for the better. You'll be able to track every interaction AFTER a proposal was sent to ensure it moves fluidly through your pipeline. And CPQ integrated into CRM provides more than just insight: it also enables administration. I.e., if you see that sales rep A's quote has stalled, you can see why and, better, you can do something about it. Once a quote has been sent, it's no longer enough for anyone to "wait and see what happens." Ensure you have a CPQ solution added to your Dynamics offer or platform, and do all you can to keep quotes moving from sent to signed.